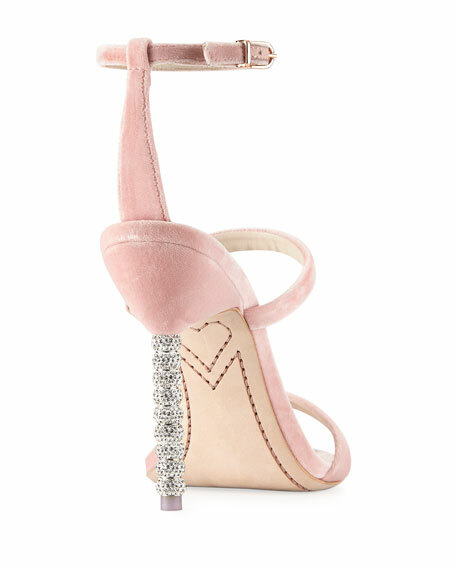 Sophia Webster high sandal in soft velvet. 4" crystal-embellished sphere heel with platform. Thin straps over open toe and quarter. For in-store inquiries, use sku #2391218.